Appliance repairs done promptly, professionally, and completely! Appliance Repair Incorporated specializes in a full range of washer dryer repair, refrigerator repair, furnace repair, and other appliance repair services. 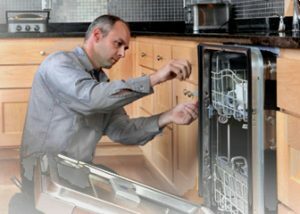 No matter what you need for your appliance repairs, our experts can help! Refrigerator, Dishwasher Repair, and More! We make furnace replacement affordable! Better equipment, installed the right way! Call for a free estimate. Make sure your furnace is operating safely and efficiently for this year's heating season. We provide an industry leading inspection of your complete heating system. $35 off a completed furnace repair. We always offer free analysis and costs for replacement of furnace or air conditioning equipment. All pricing is quoted at the lowest price the first time. $20 off any completed appliance repair. $10 diagnosis charge on any additional appliance at same location. 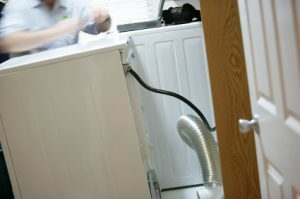 *Ask about dryer vent cleaning with any appliance repair. Tired of dealing with a dryer that doesn't dry or a dishwasher that never gets the dishes clean? Concerned that your refrigerator might be on its last legs? Then you've come to the right place. That's because at Appliance Repair Incorporated, we specialize in punctual, professional appliance repairs for a full range of household appliances from washers to ovens. Providing expert water heater, air conditioning service, and furnace repair as well as other major appliance repair services, our team works to bring you quality repairs on time and at an affordable rate. A more cost-effective solution than replacing your malfunctioning appliance, our expert appliance repair services can eliminate the inconvenience and hassle of a broken appliance without the exorbitant price tag. 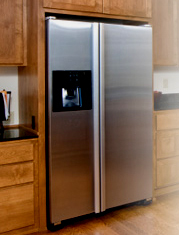 So whether you need professional refrigerator repair or dryer repair in Minneapolis-St. Paul, don't hesitate to call. Appliance Repair Inc. is here to take care of you and all of your appliance repair needs! The professionals at Appliance Repair Incorporated have the experience you can rely on. With an industry experience of over 13 years, you can trust our experts for the hands-on knowledge and skill to handle even the most challenging washing machine repair or refrigerator repair (including compressor replacement). And because, unlike some appliance repair services, we only send our own qualified staff to your door—never subcontractors—you know you're getting workmanship you can rely on for the best in water heater or dryer repairs done right the first time. Conveniently located in Blaine, Minnesota, Appliance Repair Inc. provides professional appliance repairmen in Minneapolis-St. Paul. From dishwasher repair to washer dryer repair to furnace repair, we have you covered! If you're a resident of Minnetonka, Cambridge, Rush City, St. Michael, Watertown, Lakeville, Stillwater, or the surrounding communities, our appliance repair services are your solution for malfunctions of all kinds. Specializing in both expert appliance repair and furnace/air conditioning service, our team can help whether you need an oven repair or an air conditioner repair. Appliance Repair Incorporated is a family-owned and -operated appliance repair company based right here in the Minneapolis community. We consider every customer a member of our family, and we strive to provide you with superior oven, fridge, and washing machine repairs with the hometown service you deserve. Specializing in prompt, affordable appliance repairs, the team at Appliance Repair Inc. is committed to ensuring you get the best quality at the best prices. We're fully insured, bonded, and licensed for your protection and peace of mind, and every one of our appliance repair technicians is EPA certified. 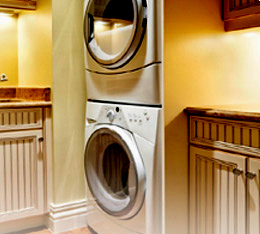 Appliance Repair Incorporated is the company to call when you need washer, dryer, or dishwasher repair. And with our furnace and air conditioning services, we're your full-service resource for HVAC and major appliance repairs. Contact us now to set up your expert appliance repair service call.